Firstly, I’m not going to lie but I bought the bag of Squishies for the photo and immediately ate them… so I present to you the empty bag. I was at Boots last week grabbing a new toothpaste and mouthwash (such glamour); on the way to the checkout at the front of the shop was a display that clearly had been ravaged and was pretty sparse, which always catches my eye! At £1 each, Imperial Leather have launched a collection of fun and mouthwatering scents, 2 of which are classic sweet inspired! Fruit Salads, the most fruity, mouthwatering sweets on the planet and the soft, squishy vanilla flavoured creamy clouds that are Marshmallow. For £1, Imperial Leather have done a remarkable job at capturing these scents and loading them into a pretty decent shower gel. Digging down into the ingredients was a definite surprise. The 2 shower gels are based with water and sodium laureth sulfate, standard in pretty much every shower gel, but the Marshmallow contains real Mallow Root Extract and the Fruit Salad contains real Strawberry Fruit Extract. On top of that, both contain Lactic Acid, an AHA that breaks down the bonds of dead skin cells to reveal fresher skin cells underneath! Pretty good for £1, right? 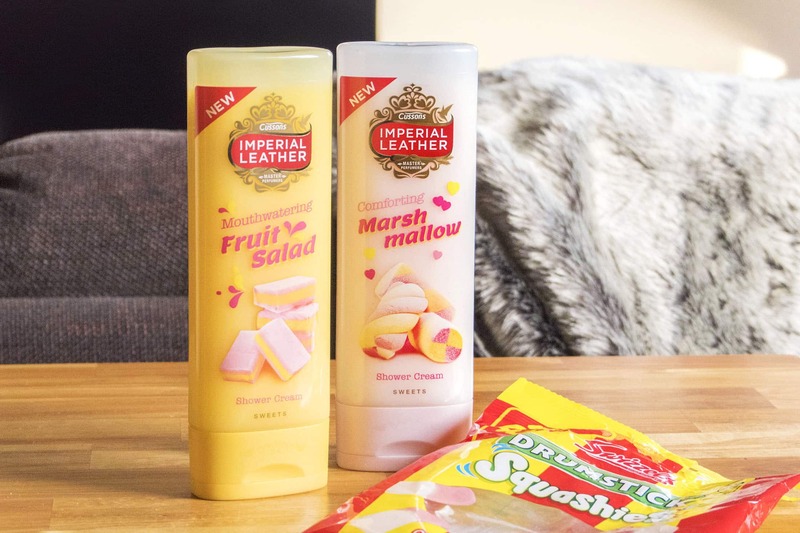 These fab Imperial Leather shower gels are definitely worth a test, both available from Boots for £1; the Marshmallow here and the Fruit Salad here. This article first appeared on MANFACE written by Thom Watson. It was published on Tuesday 9th February 2016 and was last updated on Monday 3rd April 2017 at 1:11pm. It's categorised under Bath, Cleanse, Imperial Leather where you'll find more related content.